The blockchain-powered mobile ticketing system used during this week’s UEFA Super Cup has been hailed as a success by European football’s governing body. The new secure system was deployed for 100 per cent of tickets for the first time at the 2018 game between Real Madrid and Atletico Madrid, which was held at the 12,000-capacity A. Le Coq Stadium in Tallinn, Estonia. UEFA chose a blockchain-based ticket distribution system combined with mobile Bluetooth devices at the stadium entrances. Several test events helped to work out the kinks, with the system first being used for 50 per cent of the tickets distributed to the general public for the 2018 UEFA Europa League final between Atlético Madrid and Marseille in Lyon. The success during the Europa League final meant UEFA was able to increase the distribution system to all of the general public acquiring tickets for the UEFA Super Cup. 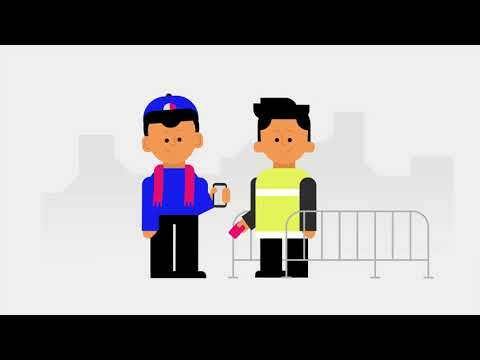 Blockchain mobile ticketing obstructs third parties from getting hold of tickets to sell on at a profit, while it also prevents unauthorised replication and duplication. UEFA said it will continue to develop the system further, with the aim of using it at future events.